This article will guide you through the dense jungle of flow meter types and applications..
Flow meters work by measuring the amount of gas, liquid, or steam that passes through or around its sensors. While they all do the same thing, there are many ways to do it – hence the many flow meter types to choose from. This article helps you choose which one you need to deliver accurate and repeatable measurements for specific applications, whether for general research, process control, or monitoring. Thermal heat transferring between gas in a very small tube (the capillary) and a set of sensors indicates the gas mass flow. More thermal heat, but this time transferred from a heated sensor immersed in the flow. Another sensor immersed in the flow, but this one uses vortices and a computed fluid density to measure volumetric and/or mass flow. On the other hand, this one can sense flow speed from the outside of the pipe with ultrasound, so no immersion necessary. 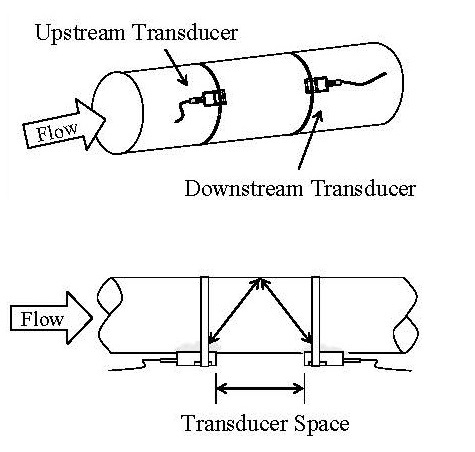 So what and how will your flow meter measure? Very large flows or only small flows? High or low temperature or pressure conditions? Simple or complicated pipe layouts? Costly products that need precise measurement? Some flowmeters work better when measuring different things. Thermal mass flow meters can precisely measure mass flow of gases from low to high flows. Vortex meters are ideal for measuring liquid and steam flows at high temperatures and pressures. Ultrasonic meters work well in liquids when you want to avoid pipe cutting or shutdown. Older technologies such as differential pressure, positive displacement, and turbine meters also have their places.To know more about such products, you can get in touch with our engineers!